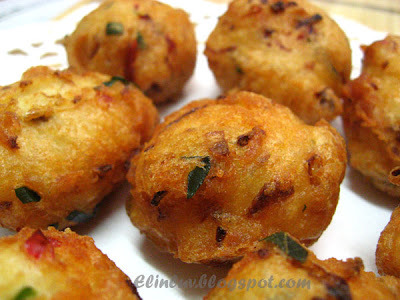 To celebrate together with my Indian friends I made some Vadai for our snack . 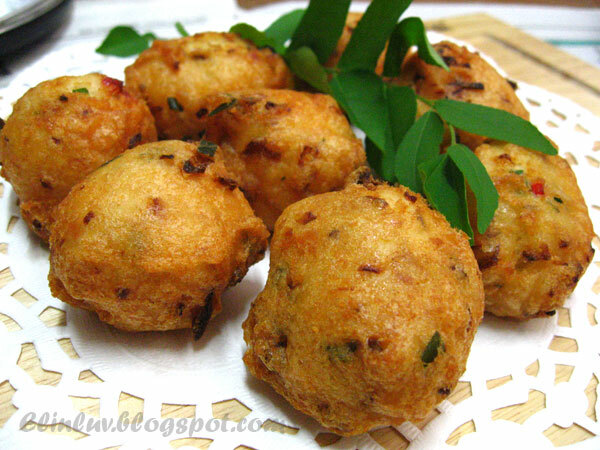 Vadai ( pronounced as Va - dey ) is a traditional South Indian food usually served as a morning food . It is made from dal lentils , soak and grind into a wet paste and subsequently mixed with sea salt, chopped onions, red chillies , curry leaves and fennel seeds. You can either shaped it like a dough nut or just make a ball and deep fried in hot oil. The end result should not be oily if it is prepared correctly , for the steam build up within the vadai pushes all the oil away from within the vadai. Vadai are preferably eaten freshly fried while it is still hot and crunchy and eaten together with coconut chutney and sambar . I love South Indian food and Daddy and I would indulge in South Indian food very often for our Saturday lunch. Anyway back to this Vadai, my colleague bought the ready to mix dal lentil paste from an Indian shop in Buntong for me and all I have to do is to add onions, fennel seeds, chilli and curry leaves and salt . Deep fried them and tada.... a plate of aromatic vadai served for our snacks. Crispy on the outside and soft and fluffy on the inside with every bite so flavorful that we can't stop snacking . then grind into fine paste with a food processor. Your vadai looks really good! It's puffing! How'd you do that? I love having warm vadai from the deep frying wok. The outer is crispy and the inside is very fluffy and of coz, the curry aroma just something to die for. I will buy this whenever I visit to Melaka. But if 'da bao' home, it doesn't taste the same after cool. Must try to make this some day. So that I can enjoy hot vadai whenever I want. ^_^ Have a great day! Btw, my in-law's birthday is on the same day too. Yes, Every year she celebrates her bd on Dewali. Ooo Elin, these look so good! I've never heard of them before though :) Thank you for sharing! And a big thank you to My Little Space for a little bonus description too. These look great. They are like an Indian hushpuppy. 愛 - ちゃん - regarding the fluffy texture, I bought the ready to mix fresh lentil paste from the Indian stall so not sure what else is in the paste :p My colleague told me that we must soak the dal lentils in water for at least 24 hours, changing the water frequently before we grind them in the food proccessor. It will be fluffy too. I have yet to try it . When time permits I will try making my own and then will share them on my blog . 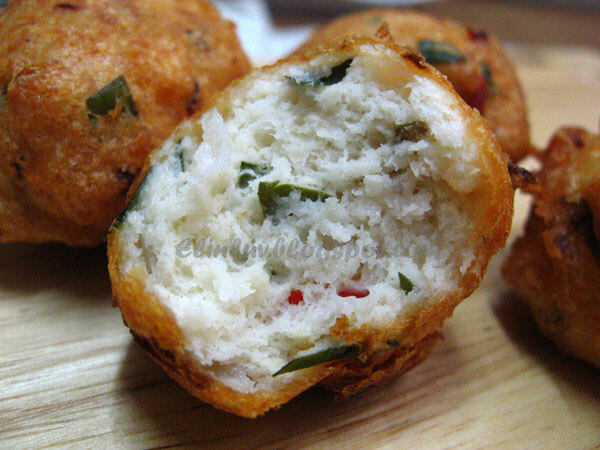 Elin, I like this savoury Vadai too, use ready to mix sound like a good idea, might try one day. let me wish your MIL , Happy Birthday and many happy returns fo the day ! Good health always too ! Roxan....:) thanks to Kristy for the more detailed description of this Indian snack . The LonelyRadish....hahaha do they ? Eat Greek... I love your greek soup that you posted up but can't get those ingredients over here :( so can only droool through the Windows :p thanks for dropping by. I have not eaten this for many many yrs, like feel like having some. Mmm...I can smell the vadai from here. Sounds so delicious and easy. I think it's time for me to hunt for some vadai, the kacang putih man may have them, if I'm not wrong. Haven't had them for years! Thank you for sharing information about the festival. I love these, so thank you for sharing the recipe! I can't wait to hear more about the upcoming festivities! i have not eaten vadai before..let me go and buy and try first..and if i like, i might try making them.thank you for sharing this! oh I haven't had this in ages!! Yours look so fluffy! These really look wonderful! Beautiful photos! 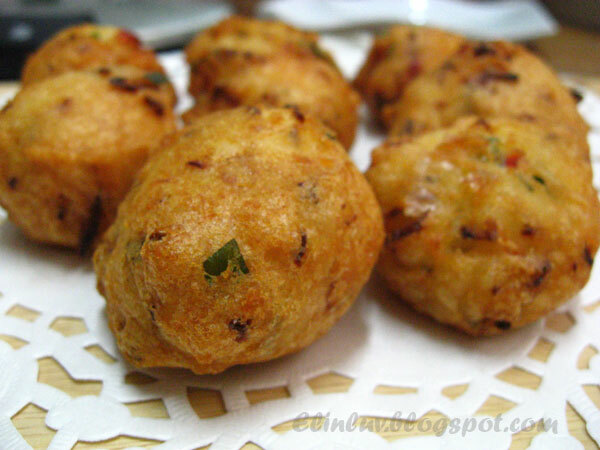 I love vadai and yours are deep fried to perfection! Love South Indian food, I could literally smell the curry leaves as I read your post! Quite sure there's baking soda in the readymade mixes, hence the puffy texture. Elin, these are such a great finger food! They look so good!